It’s award season here at Twinfinite! Starting with a few runner ups, let’s look back at the best breakout developer from this year and our 2016 winner! ColdWood instantly made a mark at last year’s E3 when they completely 180’d the tone of EA’s press conference. Martin Sahlin, Creative Director at ColdWood, took to the stage along with an adorable, hand-made Yarny doll, introducing us to their new game and the emotional focus behind it. 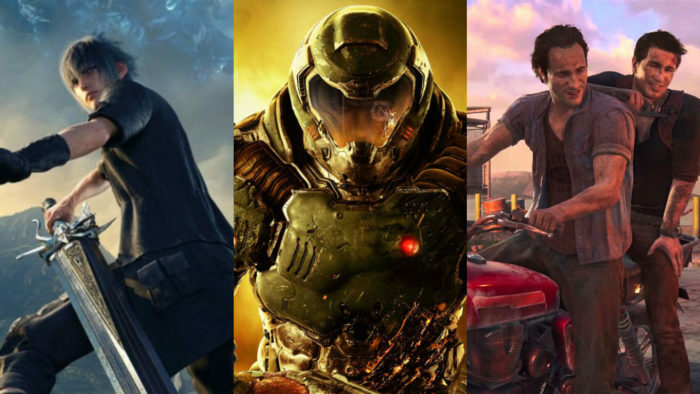 In a presentation packed with big-name shooters and high profile sports titles, it was a charming and incredibly welcome change of pace. Moving ahead to 2016, ColdWood along with EA released their sentimental puzzle-platformer, Unravel. 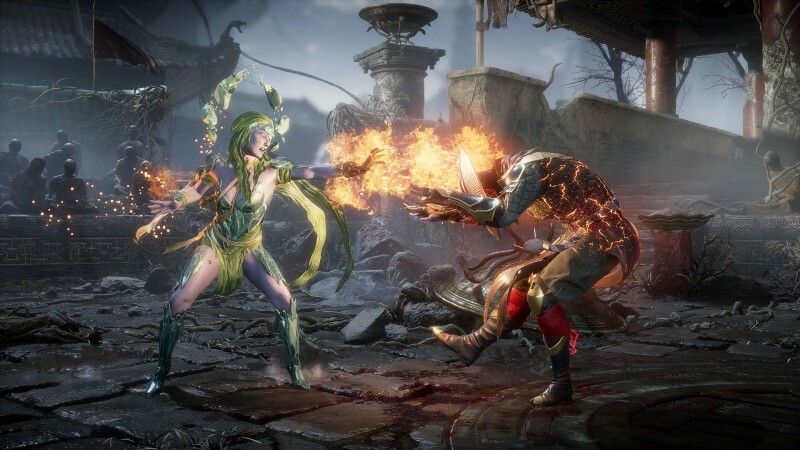 The studio has actually been around for quite a few years, making smaller titles mostly focused on sports, but Unravel was ColdWood’s grand debut. The title’s main character Yarny had already won our hearts through various marketing means pre-release, particularly a smart social media campaign filled with hugs and adorably silent interviews. In the days before Unravel’s release, Yarny even took to Twitter to ask other big name EA titles if he could be in their game. The lovable character drew a ton of attention to Unravel, and ultimately brought the same feeling of genuine empathy to the game. Unravel is a gorgeous physics-based puzzle game that shrinks you down to the little yarn figure. There’s a false sense of nostalgia as you travel through factories and forests, sights you’d see in real life, but now must navigate through Yarny’s perspective. 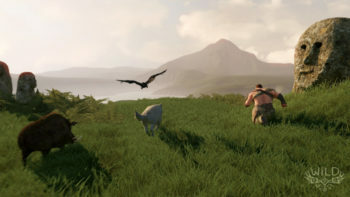 The character is on a journey to travel these scenic locations, retrieving different yarn items in order to restore the connections between a family. Though the narrative is a little too subtle, Unravel hits some surprisingly emotional notes between its charming character and phenomenal soundtrack. 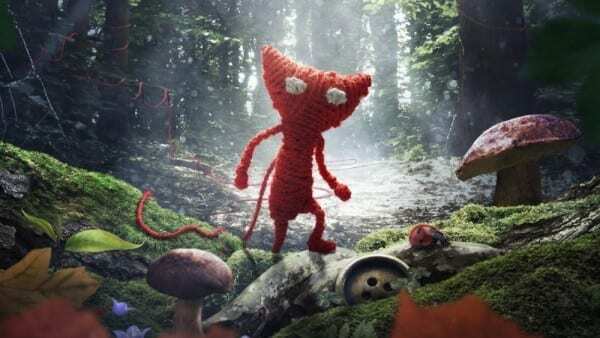 We hope that ColdWood’s next project is every bit as heartfelt as Unravel, and maybe we’ll even see Yarny return someday. Campo Santo is a small development team based out of San Francisco, CA made up of some former Telltale and Double Fine devs, among others. 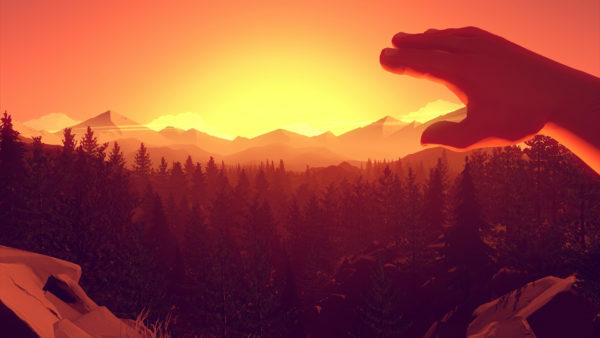 For years the team has been working on their first title, Firewatch, and boy did they deliver. Firewatch is an incredibly personal game, more about exploration and introspection than anything else. There are basically two characters in the entire experience, both expertly voice acted. You play as Henry, a man who’s taken a summer job at Yellowstone as a Park Ranger to try and escape his life. His guide and supervisor is Delilah, another Park Ranger who communicates with him via walkie talkie. Where Firewatch really succeeds its with its character development and relationship building, as Henry and Delilah grow closer and closer over the days. Campo Santo made a brilliant move in casting Rich Somner (Harry Crane in Mad Men) as Henry, and Cissy Jones (Katjaa in The Walking Dead: Season 1) as Delilah. The actors do a marvelous job of fleshing out their characters and adding emotional depth to the story. As the two spend more time out in the wilderness, strange things start to develop, and the only support each has is the voice on the other side of the radio. Firewatch really is a fascinating experience, one part peaceful and relaxing as you explore the stunning Yellowstone wilderness, and one part incredibly tense once events start to escalate. Campo Santo has also worked hard to bring even more to fans of the game, launching their title on PS4 and PC earlier this year and then later bringing it to Xbox One as well. 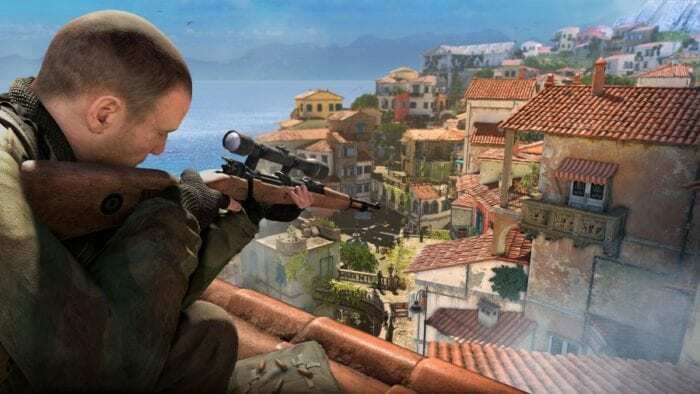 They’ve also released a number of patches and updates, including an in-game audio tour, free-roam mode, and PS4 Pro support. Whatever Campo Santo has planned next, we’ll be eagerly anticipating it. 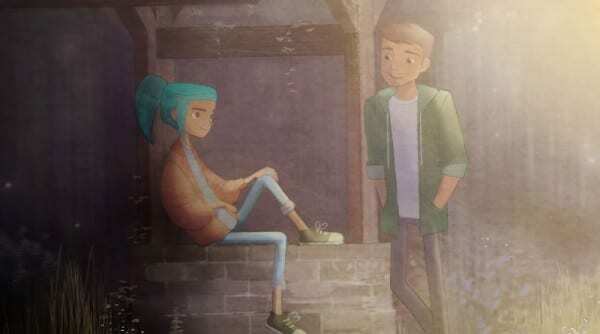 Night School Studio’s Oxenfree may have released all the way back in January of this year, but it still sticks out as one of the most memorable titles of 2016. The small studio, created by former devs from Telltale and Disney, crafted an experience with an unforgettable story, and equally engaging characters. Oxenfree focuses on a rebellious teenager named Alex who takes her brother and friends to a late night party on an abandoned military island. As you might expect, things go awry, and the group ends up opening a rift in time to the island’s past. The game is naturally spooky and unsettling, but doesn’t rely on cheap scares to do so, instead building its horror through atmosphere and tone. The shining piece of Oxenfree, however, comes in its dialogue and characters. At its heart the game is a coming of age story, and a branching dialogue system really lets you dive into these characters. As Alex, you don’t have to be nice to people just because they’re your friends. You can call them out for whatever you think, or treat them whatever way you want. The conversations between Alex and her friends don’t feel the least bit forced. It’s all genuinely adolescent and convincing dialogue that teenagers in this situation would probably have. These interactions are a simple system, but one that immediately draws you into the narrative and continuously drives the game forward. Oxenfree is undoubtedly one of the very best indie games of 2016, but surprisingly, that’s not all Night School Studio was up to this year. The studio also made a tie-in mobile game for the TV show Mr. Robot, which was published by Telltale. The fittingly titled Mr. Robot:1.51exfiltrati0n is a strange interactive experience that has you doing things like communicating to characters via text message and having others “hack” your phone. 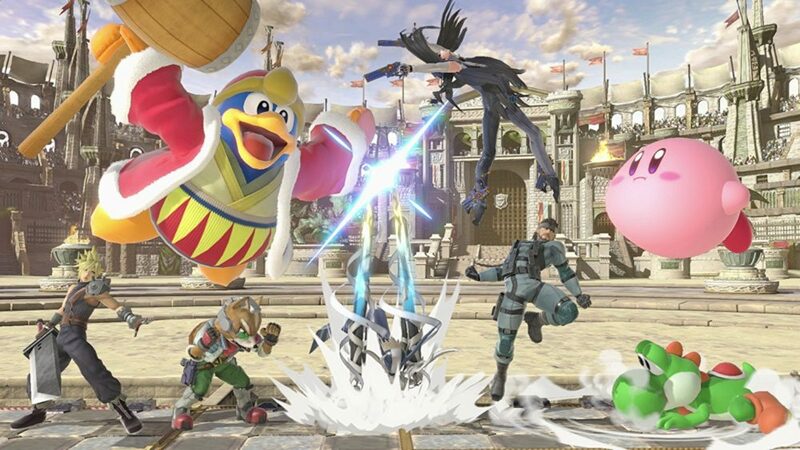 Nigh School Studio showed us that they really now how to craft characters and stories this year, and hopefully they’re able to continue that expertise in whatever they do next. Stardew Valley is an addictive game of humble beginnings, and the spiritual successor to Harvest Moon we’ve been wanting for years, with just a hint of Animal Crossing. It’s absolutely stuffed with activities, farming, serene music, and a calming atmosphere in general. The most impressive aspect of Stardew Valley, however, is the fact it’s developed entirely by one man. Eric Barone is responsible for everything in the game, including the story, dialogue, assets, music, and sound effects. The title took Barone four years to develop, but all that work definitely payed off. There’s more to Stardew Valley than meets the eye, even though its main appeal may be the farming and gathering you do. In the game, you inherit from your dying grandfather an abandoned farm in Pelican Town. In a bid to get away from your mundane office life, you move to town and begin restoring the farm to your liking. You have full control over how you clear the area, plant your crops, construct buildings, and more. Of course to afford all this, you’ll need to make a living by harvesting and selling crops, as well as undertaking quests from the townsfolk. There’s a surprisingly deep story present in Stardew Valley, and each of the townspeople have a distinct personality you can get to know. You’ll also have the option of wooing a special someone and marrying them. Similarly to Animal Crossing, you can view a calendar filled with people’s birthdays and special town events, and it won’t be long before you’re engrossed in town life and your daily chores. Stardew Valley is engaging, relaxing, and brimming with content. 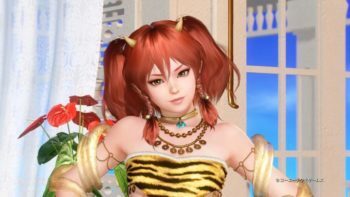 It’s astounding that such an experience was crafted by one person, and even after releasing the game, Barone has continue to update it with content. 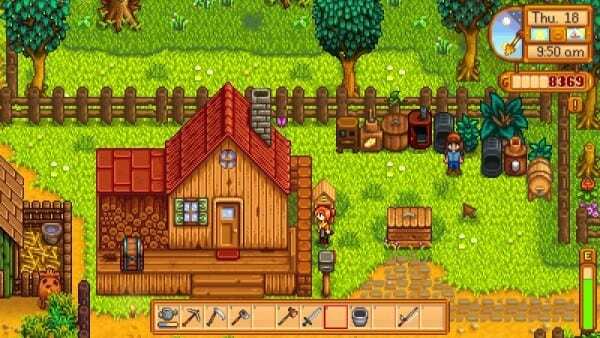 Stardew Valley even made its way from PC to PS4 and Xbox One with the help of Chucklefish. 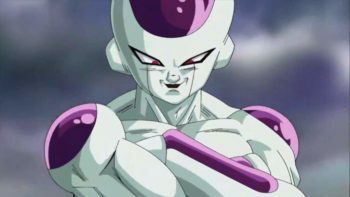 There’s also a Nintendo Switch version currently in development. If 2016 has been any indication, we should definitely be keeping an eye on whatever Eric Barone decides to do from here. Congratulations to Eric Barone, the winner of our Best Breakout Developer category for 2016! Be sure to visit back this week more award announcements including the big one, our game of the year for 2016! For the full list of award categories for 2016, visit our nomination page here. Good first impressions are important.